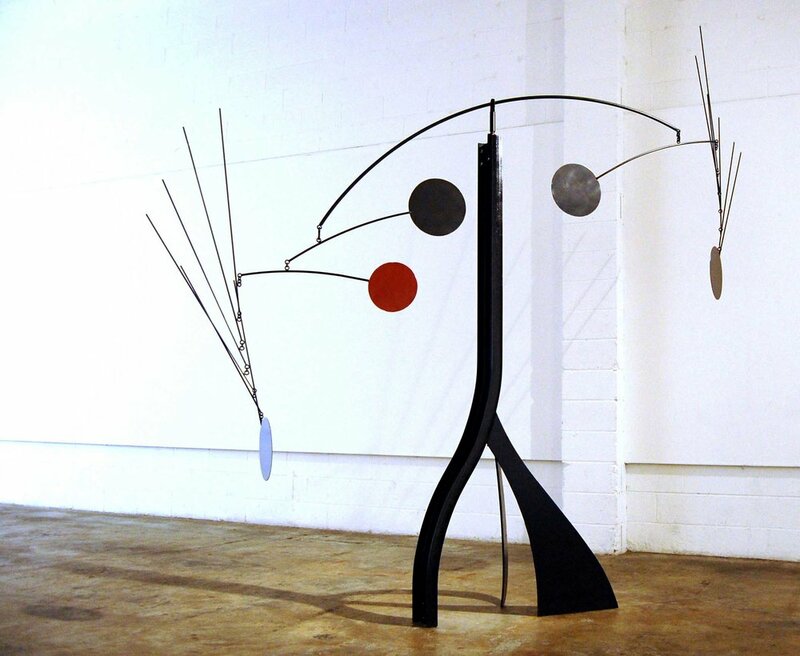 Painted steel, found objects, and stainless steel, 136 x 125 in, 2009. Rebar, urethane, and enamel, 48 in, 72 in, and 96 in, 2006. Hand Forged Bronze, 99 x 75 x 49 in, 2005. "Early on, my work focused on process and fabrication technique. Being self taught in the medium of steel, my fascination has been with how to use tools and materials to successfully complete my pieces. Each project was a learning process, as I developed skills needed to sculpt steel and other metals. Now I feel more compelled as an artist, to communicate with the viewer, to express ideas and emotions. Instead of concerning my self with how a piece is bolted together, I now find it more interesting to use the form and function of my work as dialogue. To "speak" as an artist is something I have found to be very challenging and very rewarding."